It may be rotten luck that both such situations have materialised in quick succession. But bad luck has nothing to do with the fundamental design flaws of the EU exposed by the eurozone debt drama of recent years or, now, the diplomatic stand-off with Russia over Ukraine, reports ft.com. Both cases have revealed the same core failing: the interests of the 28 member states are not aligned. Much effort goes into trying to mask this failure by devising agreements with grandstanding names. But the underlying reality is clear for all to see. The December agreement on a bank resolution system was so weak that it could not resolve a medium-sized casino. Now, when the European Council talks about "sanctions” against Moscow all it can rustle up is a freeze on talks about the removal of visa restrictions. Ouch. The EU is divided over Russia because member states have become dependent on gas and money. Russia supplies 40 per cent of German gas imports. Almost 5 per cent of German manufacturing exports go to Russia. Russian money, some of it illegal, finds its way into the financial centres and property markets of London and Cyprus. The Germans call their relationship with Russia a strategic partnership. Gerhard Schröder called President Vladimir Putin a "flawless democrat”. Shortly after leaving office, the former German chancellor took up a job at a Russian-led Baltic sea pipeline project. Angela Merkel is less enamoured of the Russian president than her predecessor. But she, too, knows there are substantial national interests at stake. I cannot see her accepting hard sanctions beyond those pitiful gestures agreed last week. And I cannot see the UK government seizing Russian financial assets in Britain. EU states feign outrage about what has happened in Ukraine. But through their failure to agree an effective joint position, they have unwittingly become Mr Putin’s most effective collaborators. Their single biggest omission over the years has been the failure to create a single market for energy. Member states have struck their own private little deals with Gazprom. For Germany, the availability of Russian gas was especially important because it fuelled the Merkel administration’s biggest domestic political project: the shift away from nuclear energy (another policy that was not co-ordinated at EU level). Europe’s collective-action problem is not new; its epochal scale is. In 2007 the EU and its institutions did not see the financial crisis coming. In 2008 they misjudged the impact of the bankruptcy of Lehman Brothers. In 2009 they did not see the Greek sovereign debt crisis coming, and from 2010 onwards they underestimated the impact of that. One of the lessons of that episode is not to allow a small financial crisis to become large. Serial failures led to a loss of reputation. The Europeans no longer have the ability to scare. Mr Putin is the kind of leader who can smell that. The EU is not completely dysfunctional. It still works well in specific areas – where it has clearly defined competencies, as in trade or competition policy, and the interests of member states are naturally aligned. An example of the latter is last year’s nuclear agreement with Iran. The EU has been reduced to a technical facilitator. It is still useful – but mostly in the sense that a butler is useful. Powers are not delegated upwards but downwards. And when you happen to appoint a weak under-butler – as they did with José Manuel Barroso, the president of the European Commission – disorder ensues. There is no easy way back. Moving sovereignty over the energy sector to Brussels would be as fraught as last year’s attempt to create a joint resolution framework for the banking system. It would require a rewrite of the European treaties. I cannot see how electorates in austerity-stricken member states will accept more integration – for as long Mr Putin does not move his tanks into EU territory. You could make a similar argument for the eurozone. 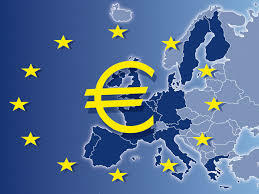 Two groups of French and German intellectuals recently drew up a blueprint to forge a political dimension to the monetary union. They include some good ideas. The problem is that eurozone leaders have already taken all the important decisions – from the rescue fund to the fiscal treaty to a bank resolution agreement. The proposals are still useful. But they are for the next crisis. The same goes for whatever it takes to stand up to aggressors in our immediate neighborhood. Mr. Putin has unwittingly given pro-Europeans their most powerful campaign argument for the upcoming European elections: the price we pay for populist pandering to our national interest is to let the likes of Mr Putin play us off against one another.